Get low pricing and great service with your next DOT Physical Exam at our convenient, Driver Helpful clinic located on 834 E. 9400 S. STE 57 in Sandy. Easy access off of I-15 and 90th south. You can easily get an exam as you go thru Salt Lake City. Take I-15 to 9000 South, turn right heading east to 700 East turn south. Your next turn will be on 9400 South heading east and enter in front of Gray Whale CD exchange and we are on the left side about half way down. Look for a blue sign that says "Chiropractor" and you're there. The parking lot is open, pick a spot, and come on in. Dr. Ronald Rosquist is a Certified Medical Examiner in the National Registry. Dr. Ronald Rosquist did his pre-med requirements at the University of Utah. He attended Texas Chiropractic, in Pasadena, Texas. He has been practicing for over 30 years. 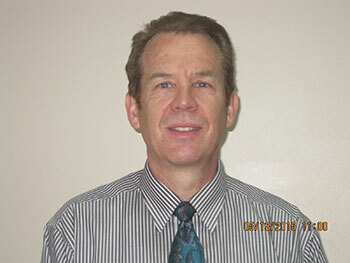 He has extensive training in Orthopedics, Acupuncture, Nutrition and Integrated Health Services. He enjoys woodworking, reloading, hunting, and working in his garden - where he brings in fresh fruit and vegetables for his patients!